Here at Yarwoods Excavator Attachment Ltd we provide waste grab hire in Inverness and throughout the UK. 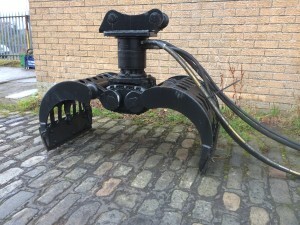 For all of your waste grab hire in Inverness, Yarwoods Excavator Attachments Ltd have a full range of Kinshofer and Demarec waste grabs available for hire to fit machines from 5 tons through to 70 tons. We provide waste grab hire throughout the North West, North East, Scotland and the UK as a whole, including Inverness, Newcastle, Glasgow, Edinburgh, Lanarkshire , Yorkshire and Carlisle and many more.